From conditions of entry Maratona dles Dolomites - Enel 2019 pt. 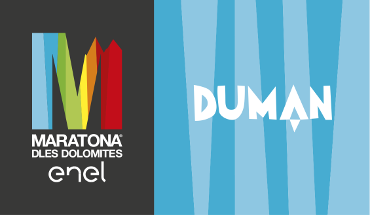 4 and 5: There are 3 possible routes for the 2019 Maratona dles Dolomites - Enel. Participants are free to select the route best suited to their ability, also during the course of the event, entirely according to their own judgement. Cyclists older than 64 (sixty four) may just run the shortest courses (55km and 106 km). Corvara direction Campolongo (55km) 11.30 a.m.
Cernadoi direction Passo Giau (76km) 11.45 a.m. Finish: 55km - 1 p.m. Finish: 106km and 138km - 4.15 p.m.
Passo Gardena/Colle S. Lucia 12.15 p.m.